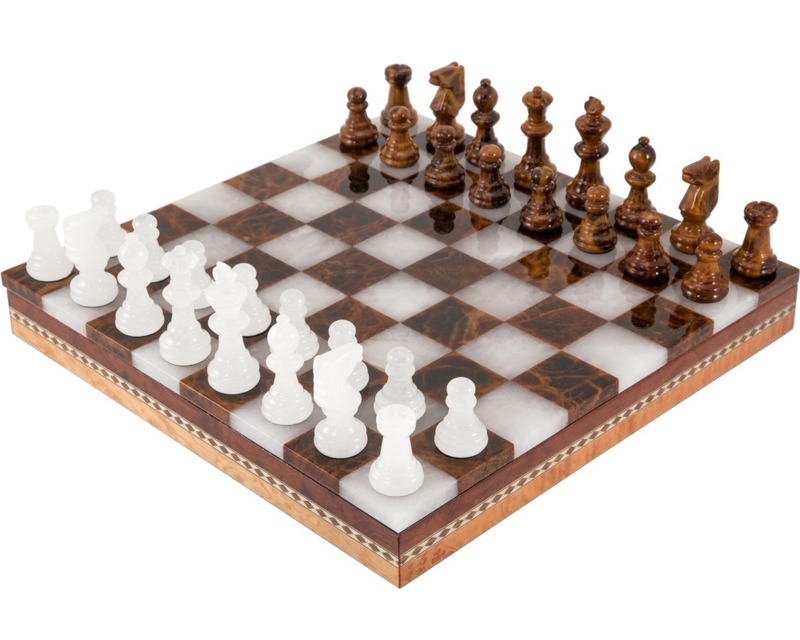 Simply divine looking Brown & White Alabaster chess set with wooden cabinet, hand made by Scali Alabastro of Italy. 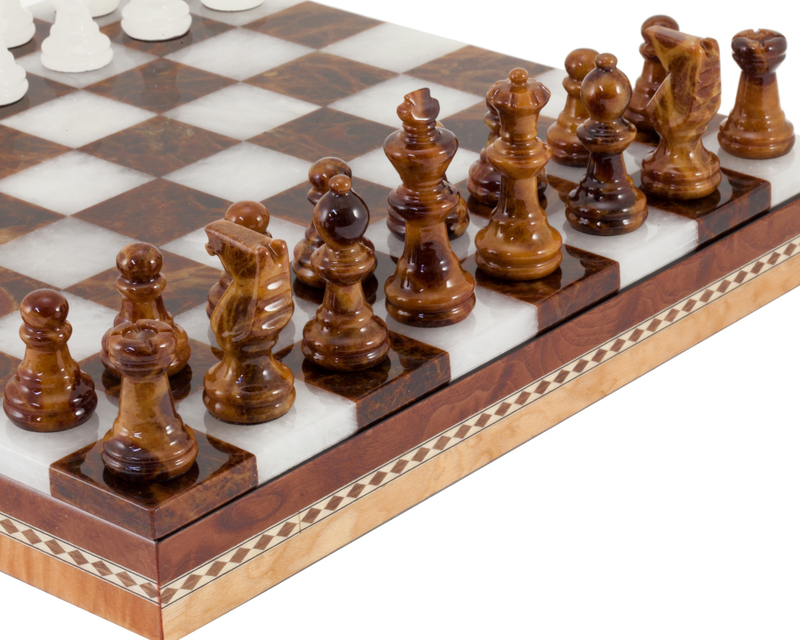 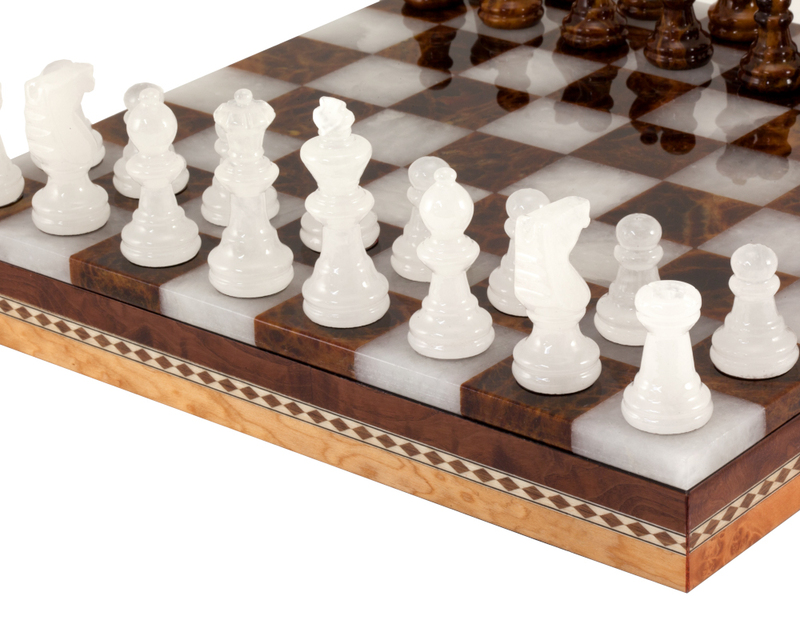 This luxury chess set features an edge to edge polished alabaster chessboard lid with a inlaid wooden chess piece cabinet underneath. 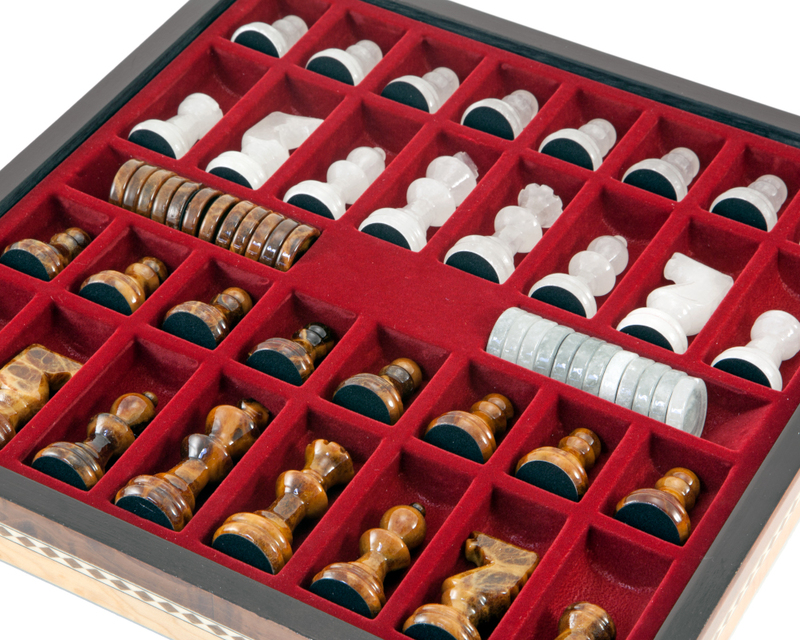 Each solid Alabaster chess piece has its own space within the cabinet. 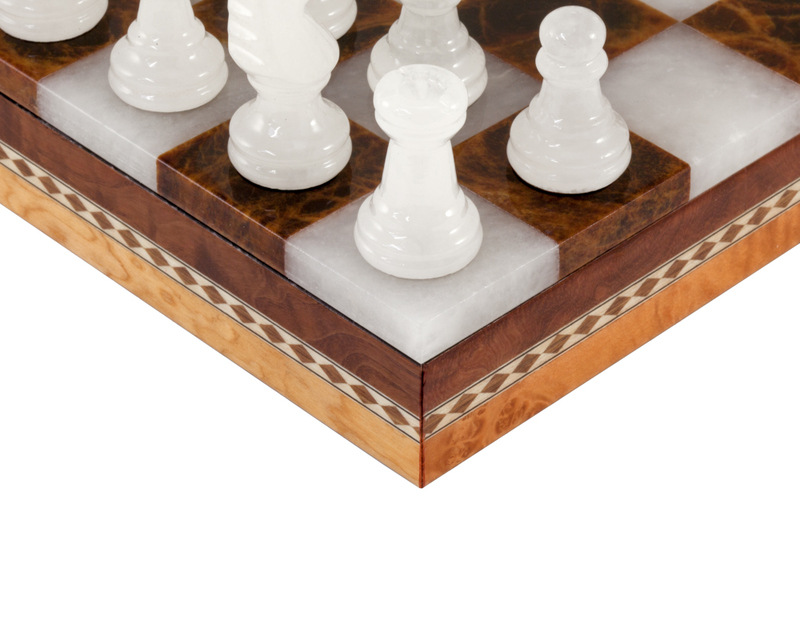 The pieces themselves are also made from the same colour Alabaster as the board and match beautifully. 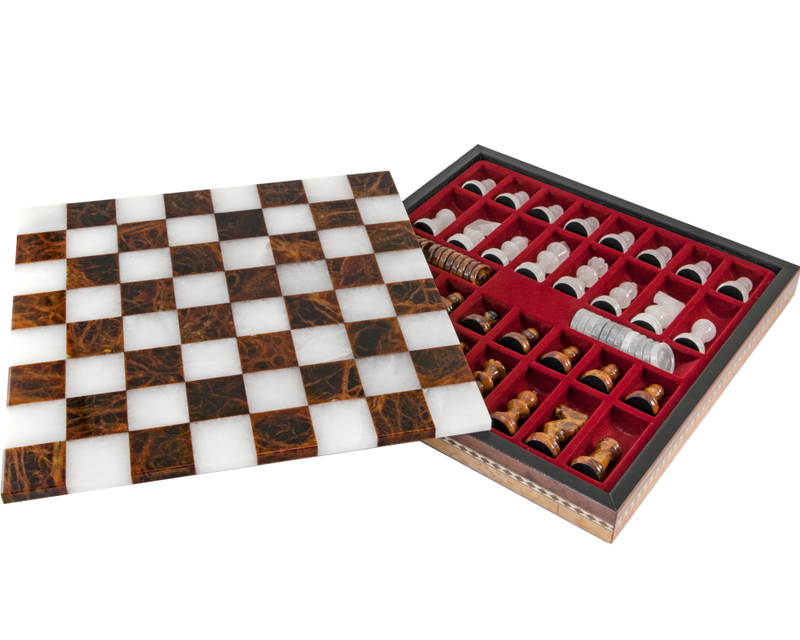 A beautiful set that contains all the pieces when not in play making this a perfect gift for the chess player where aesthetics are paramount. 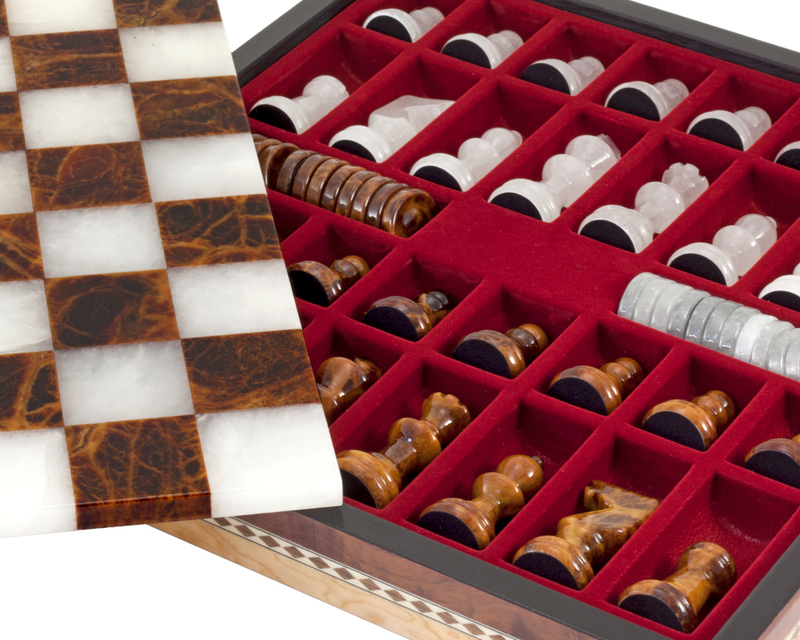 This set also includes solid Alabaster Draughts counters too!